Oliver Onions was born in Bradford in 1873. Although he legally changed his name to George Oliver in 1918, he always published under the name Oliver Onions. Onions originally worked as a commercial artist before turning to writing, and the dust jackets of his earliest works included illustrations painted by Onions himself. Onions was a prolific writer of short stories and novels and is best remembered today for his ghost stories, the most famous of which is probably ‘The Beckoning Fair One’, originally published in Widdershins (1911). 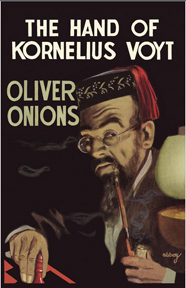 Despite being known today chiefly for his supernatural short fiction, Onions also published more than a dozen novels in a variety of genres, including In Accordance with the Evidence (1912), The Tower of Oblivion (1921), The Hand of Kornelius Voyt (1939), The Story of Ragged Robyn (1945), and Poor Man's Tapestry (1946), which won the prestigious James Tait Black Memorial Prize as the best work of fiction published that year. Onions was apparently a very private individual, and though admired and well-respected in his time, he appears not to have moved in literary circles, and few personal memoirs of him survive. He spent most of his later life in Wales, where he lived with his wife, Berta Ruck (1878-1978), herself a prolific and popular novelist; they had two sons, Arthur (b. 1912) and William (b. 1913). 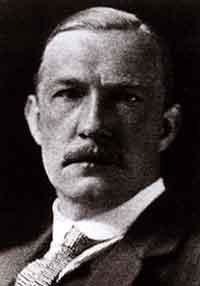 Oliver Onions died in 1961.